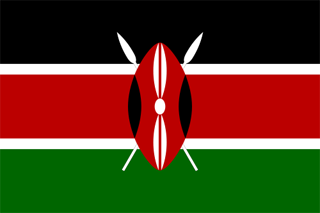 Kenya keen on regulatory fintech sandbox - Otap Projects Ltd.
Kenya is the latest nation to show an interest in creating a regulatory sandbox for fintech innovation. In a speech by Paul Muthaura, chief executive of Kenya’s Capital Markets Authority (CMA), he discussed the plans and partnerships. No timelines were offered and not a lot of specifics. Muthaura wants to “create a conducive environment to unlock the potential of the fintech space” in Kenya including the signing of cooperation agreements with regulators such as the Australia Securities and Investments Commission (ASIC) and the Abu Dhabi Global Markets Financial Services Regulatory Authority (ADGM FSRA). Along with these regulators, the CMA says it has got vague forms of help from such firms as IBM; and external organisations such as IOSCO, World Bank Group and the Global Financial Innovation Network (GFIN). The latter was officially launched this month. As part of the CMA’s Strategic Plan 2018-2023, and after a lot of feedback, the CMA is now mulling the “go live” of its sandbox. Before that can happen, it has set up a Sandbox Review Committee (SRC) “whose mandate is to provide tailored, coordinated regulatory support, dedicated to the sandbox project and ecosystem”. The SRC will review applications, monitor test plans and help firms looking for licences. He explains that the Boards of the Financial Sector Regulators have discussed fintech as one of the “key areas of cooperation” and they are finalising a support facility to act as a “one stop shop” for all fintech related queries. It wasn’t all sweetness as Muthaura says the authority “continues to urge members of the public to exercise caution in participating in any initial coin offerings (ICO) and cryptocurrency transactions lacking regulatory sanction”. As said before, the CMA doesn’t provide dates or details, but at least it is waking up to fintech’s power and potential.